My granddaughter, Nyah, stayed over last night and as I was off on my travels this morning I only saw her briefly before I left. Although she’s just five years old, she is very bright, and we had a chat about what’s important in life. She asked if my house was important to me. I said yes, but not as important as you or your mom, or your auntie or your nan (my two daughters and my wife). They’re all of far more value than possessions or things. Children are like sponges, they soak things up a lot more than adults and that’s why it’s important to fill them with positives at an early age. The foundations that they have now will stand them in good stead when they grow older. 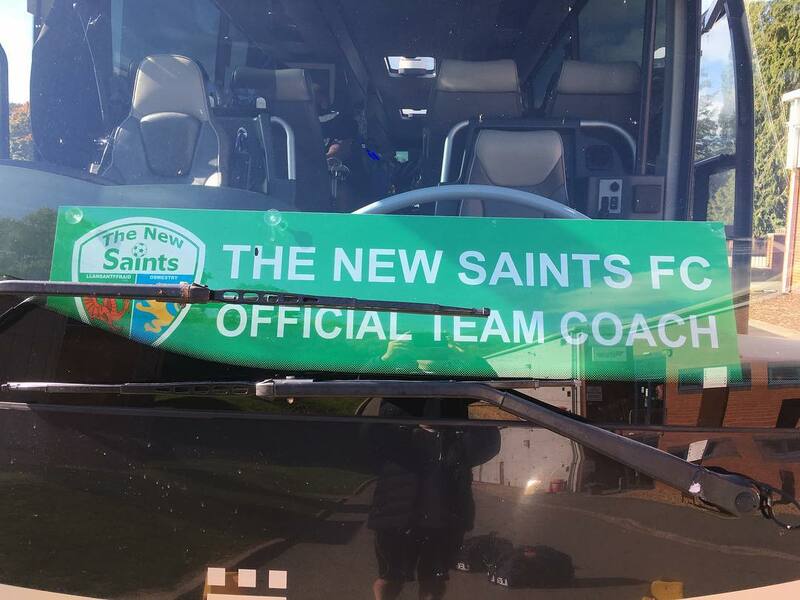 Back to the travels though, after the journey to Park Hall, the home of The New Saints, it was then on the team bus to south Wales. To be precise, Tongwynlais, hence the title which means ‘welcome to…’ in Welsh. We have a 12.45 p.m. kick-off tomorrow in Cardiff so an overnight stay will help the players in their preparation. In most clubs the media don’t travel with the players but at TNS we do, which is great. I do spend a lot of time away from home but I’m blessed to have a great wife. That’s a massive factor because if you have support from your partner, you can achieve far more in life than if you don’t.